Test cricket is the purest form of cricket and remains the ultimate test of a cricketer’s abilities. No cricketer can be called really great unless he has performed consistently well in Test cricket. Quite understandably, a bilateral Test series between two nations provide the greatest entertainment for a genuine cricket lover. However, not all Test series can fulfil the expectations of cricket lovers. Some are dull and drab affairs, while some are extremely one-sided and offer no excitement for the viewers. The series was touted as the unofficial Test championship and featured the two best teams in the world at that point in time. The Aussies went there with a superb team led by Steve Waugh. 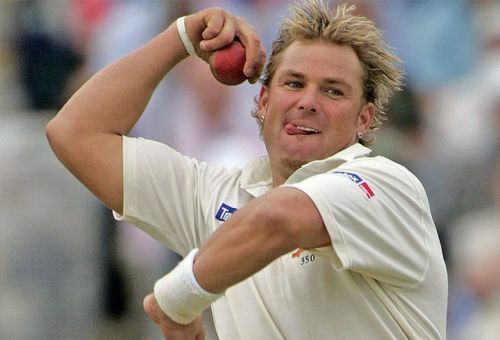 They had legendary players like Shane Warne, Glenn McGrath, Adam Gilchrist, Mark Waugh and Steve Waugh in their side. The South Africans were no pushovers as well, as they had cricketers like Allan Donald, Mark Boucher, Jacques Kallis and Makhaya Ntini in their ranks. Boucher was the captain of the side in absence of Shaun Pollock and hoped to beat the mighty Aussies with his formidable team. Adam Gilchrist set the tone of the series with a brilliant double hundred in the first innings of the first Test at Durban. He put the strong South African bowling attack to the sword and helped Australia put up a total in excess of 600. South Africa suffered an innings defeat as McGrath and Warne took 8 and 6 wickets respectively. Australia won the second Test again as Warne destroyed the South African batting line-up on yet another occasion with 8 wickets in the match. Ricky Ponting made an unbeaten century in the second innings to win the match For Australia. South Africa won the third match by 5 wickets and salvaged some pride in the end. Herschelle Gibbs made a match-winning century in the fourth innings of the match. 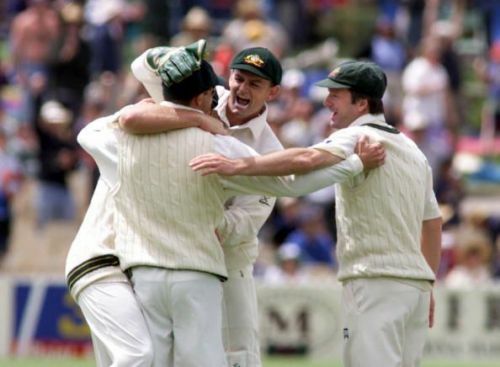 For Australia, Ponting and Gilchrist were again among runs and Warne among wickets. Overall, that series involved a gripping battle between two very strong and exciting teams and Australia confirmed their status as the world's best team.